Here are six reasons why these renewable energy systems should undergo the commissioning process before startup. Whether a solar energy project is sized to produce kilowatts or megawatts, commissioning a photovoltaic (PV) system demonstrates that the system is designed, installed, and working as promised. Building owners and facility management may be hesitant to engage in the commissioning process, viewing it as an additional layer of work and financial investment to a system that may already require up to 10 years of payback. Commissioning, however, can save time and money; ensure system efficiency and safety; and increase end-user satisfaction, especially when introduced in the planning phases. It’s also an essential part of a well-installed system, as the moderate investment PV commissioning entails facilitates future operations and maintenance. In addition, PV commissioning prevents the waste of unnecessary silicon, aluminum, glass, steel, copper, dollars, and effort. Moreover, commissioning builds public confidence in PV and renewable energy technologies. Here, in greater detail, are six reasons why PV systems should incorporate commissioning. It’s a simple reason, yes. But if a client’s goal is to construct and operate a net-zero facility, for example, architects, engineers, and contractors need to understand this in order to design to meet that goal. The commissioning process keeps them focused. 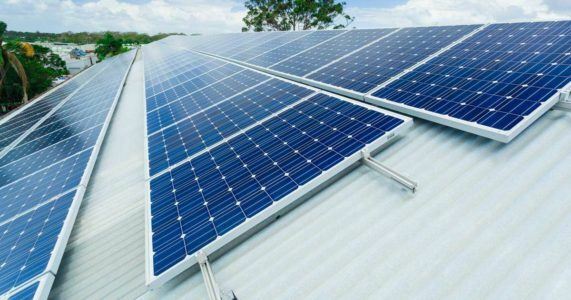 Other client goals might include maximizing return on investment, maximizing power output from roof space, or optimizing the PV system size to the utility rate structure. Known as the owner’s project requirements (OPR), these goals are part of the PV system designers’ installation and maintenance strategy: documents that outline the system components and performance-output calculations, which guide the PV commissioning process. Using a commissioning service to ask essential questions during pre-design and design processes will uncover items that could create big problems during installation or operation. These questions could relate to the energy output of the system to those more technical in nature, like the sizing of the electrical wires and components. The more an owner aims to accomplish with a system, the more complicated it can become. If a battery (or other energy storage) is tied to the PV system, for example, the system may have more difficulty providing the owner with “full bang for their buck.” Commissioning can include regular monitoring of electrical output and capacity, and checks to make sure all arrays are generating electricity, the converters are working optimally, and electric wires were properly installed and remain connected. While most contractors fulfill their orders, sometimes a worker may forget to “dot their i’s and cross their t’s”, or they may devise a time-saving alternative without considering the maintenance problems it might create. The commissioning process keeps contractors accountable and brings to light issues that don’t meet project requirements. Every owner wants the system work without errors—right from the start. But not every aspect of the system may come online perfectly at first. Components (inverters and panels) may fail, or wiring may be inadequate. Changes to the area adjacent to the panels may reduce their efficacy—like trees or new buildings that shade the system. Or, the owner may decide to incorporate equipment upgrades. PV commissioning ensures the system enjoys optimal operation even as environmental conditions or technologies change. Also, without commissioning PV system failures can go unnoticed for months (or years) if the building has a solid back-up via grid electricity. This article originally was published in Facility Executive.